Ellen Johnson Mosley is the Visiting Assistant Professor of Flute and Music History at Morehead State University. Her ongoing work as a flutist and advocate for the arts has led to many collaborative flute performance and service opportunities throughout the United States. Currently, she is the Principal Flutist in the Cave Run Symphony Orchestra and performs chamber music in the Baird Winds Faculty Quintet, Traverso Colore Baroque Flute Ensemble, Tornado Alley Flutes, and the Ad Astra Music Festival. Dr. Mosley has also performed as a concerto soloist with the Cave Run Symphony, Delano Chamber Orchestra, Morehead State University Symphony Band, and the Concordia University Symphony. 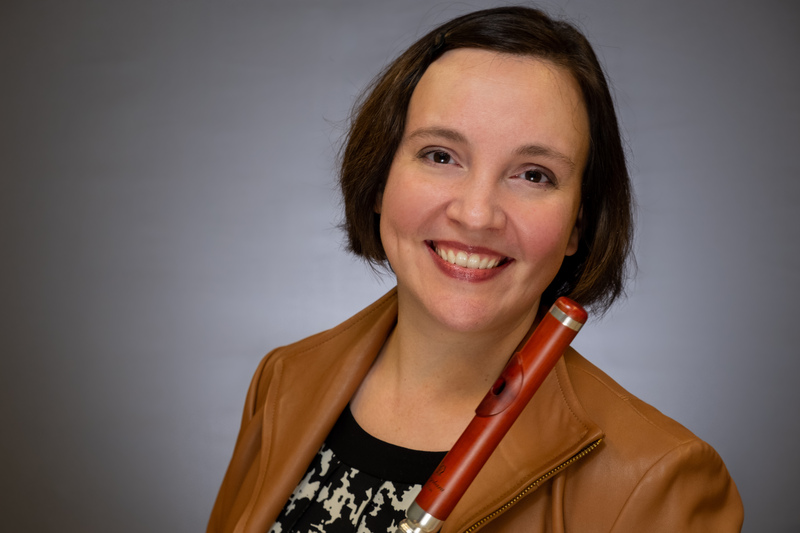 She is a passionate advocate for community engagement and serves as the President of the Flute Society of Kentucky, grant writer for the National Flute Association's Development Committee, and commissioning member of the Flute New Music Consortium. Schools that have welcomed her as a Guest Artist/Clinician include Emporia State University, Stephen F. Austin State University, Kansas State University, Southwestern Oklahoma State University, and the University of Texas at Austin. Dr. Mosley holds flute performance degrees from Florida State University (D.M. ), the University of Texas at Austin (M.M.) and Wichita State University (B.M.). Her flute teachers include Eva Amsler, Marianne Gedigian, Karl Kraber, and Frances Shelly. Dr. Mosley lives in Lexington, KY with her spouse and their beloved dog, Siegfried, a border collie/lab mix. Prior to her appointment at Morehead State University, Dr. Mosley served as Principal Flutist of the Delano Chamber Orchestra for five seasons and as the Manager for the Wichita Symphony Youth Orchestras Program. She also held faculty positions at Butler Community College in El Dorado, KS and Concordia University in Austin, TX. Her past service activities include board membership for the Austin Flute Society, George B. Tack Memorial Flute Committee, and Delano Chamber Players. Dr. Mosley was elected as President of the Austin Flute Society Board (2010-2011) and Chair of the Career and Artistic Development Committee (2011-2016) for the National Flute Association. She is a 1998 First Prize Winner for the Tack Award for Excellence in Flute Performance and a 2003 Finalist in the Williams-Reck Competition. In recognition of her Summer Flute Ensemble Initiative, Dr. Mosley was awarded a Gunstream community engagement grant from the College Music Society in 2009.